The right pair of heels can give you a confidence boost and make your wedding dress all the more spectacular, and who doesn’t love a fabulous pair of heels? Unfortunately, they aren’t always comfortable if your wedding is on a lawn or the beach. This is when you’ll want to convert high heels to wedges to go along with your dress. If you’re in this position, then this article will be really helpful for you! Make sure to pick your shoes out prior to getting your dress alterations finalized. That way you can take them with you to get the hem length right. If your dress has already been altered, then you will want to check the length of the dress prior to shopping for your shoes. Heels that are too short or too high can make walking in your dress more difficult. Bringing a sample of the fabric of your dress with you as you shop for your wedges will allow you to better match the shoe to the dress. 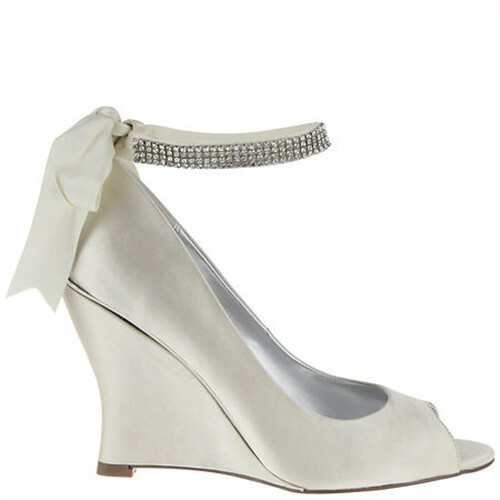 You don’t want to accidentally buy an ivory shoe and pair it with a stark white dress. That will make the shoes just look dirty. You also want to ensure that the glossy finish of your dress and the shimmer of the shoe don’t clash. While you may want your shoes to shine on their own, remember that the dress should be the center of attention. 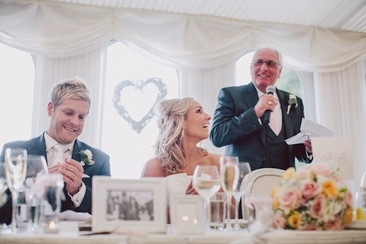 When choosing your wedge, make sure it enhances the dress and does not take away from it. You don’t want everyone staring at your feet all night, so keep the wedge elegant and classy. The main reason to convert high heels to wedges is for more comfort. For most the day, you’ll be on your feet from the moment you walk down the aisle, the first entrance as husband and wife, and of course all the dancing you’ll be doing. You don’t want your feet to be sore halfway through the day, so choose a wedge that offers some extra cushion so they will be just as comfortable as they are stylish. Weddings are expensive and you will need to pick and choose which details you are willing to splurge on, and your wedges do not have to be that expensive. You can find a great looking wedge for a fairly low price if you are willing to do a little bit of searching and price comparison. Wedges offer just as many varieties as any other traditional heel, so you want to have decided on some of the details before looking. T-straps, peep toes, or closed toes all have a proper place with the right wedding theme. You wouldn’t want to pair a strappy sandal wedge with a highly formal and traditional wedding, so consider that when choosing your wedge. Now that you know how to choose the right wedge, we’ve compiled a short list of some simply fabulous wedges that might just be the perfect fit for you and your dress! These simple slip-on wedges are perfect for those looking for a more traditional wedge. The simple gem embellishment and open-toe design provide you with a slight glamorous a touch and a whole lot of comfort. It’s one of the best convert high heels to wedges alternatives! 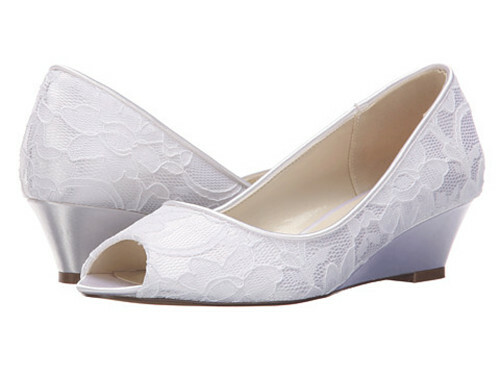 These wedges feature delicate lace detail that pairs well with a wide variety of wedding dresses. 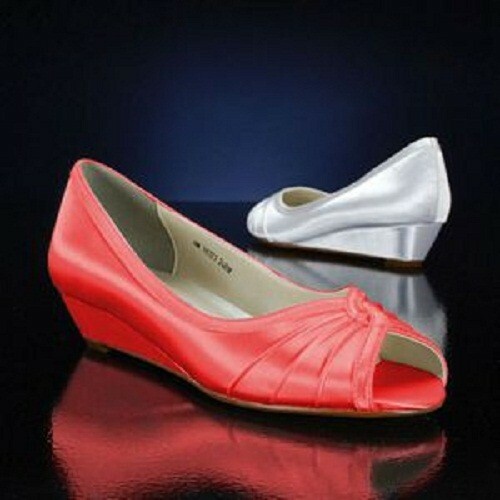 They are a lower heel so they provide more comfort that you can dance and celebrate the night away. These wedges are simply gorgeous! With a crystal ankle strap and a satin bow at the ankle, these shoes will make you feel beautiful while also grabbing attention for all the right reasons. If you are having a summer wedding, or a wedding in the tropics, these are an ideal choice. The mesh siding will provide your feet with more breathability and the rhinestone details and sparkling wedge heel make them look glamorous. These sandal wedges are perfect for beach weddings. Their short, 2 inch heel will provide you with comfortable throughout all the festivities while still look amazing! The T-strap also makes it easier for you to show off your bridal pedicure! These wedges feature a 4-inch heel with a stunning lace overlay. The cross straps in the front and simple ankle strap add in chic and elegant details, making these the perfect wedges for all types of gowns. 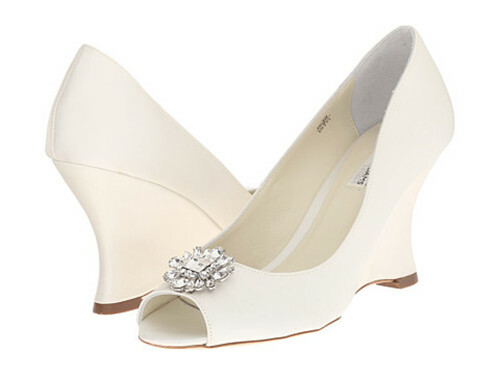 Brides who just want something comfortable yet stylish will love these wedges. They only have a 1-inch heel, so you won’t have to worry about your feet throughout the day, and they can be found in a wide range of colors if you are looking for something a little bolder when you convert high heels to wedges. If you want your shoes to sparkle just as much as the rest of your attire, then these are the wedges for you! 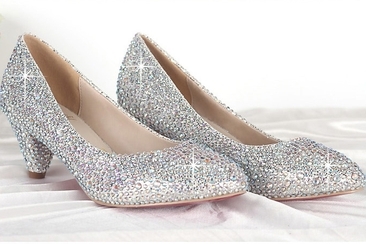 The shimmering rhinestones that adorn the metallic fabric of this shoe makes it glisten from every angle. The little details of these off-white wedges are easy to fall in love with. The elaborate crystal embellishment at the back of the heel definitely makes a statement while the twist design strap leading from the ankle to toes is just another fantastic touch. 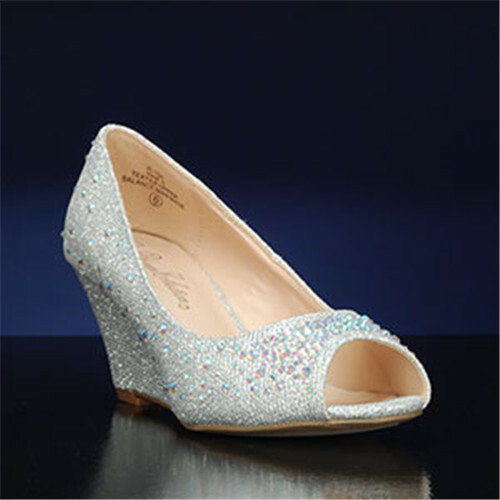 If you are looking for a Cinderella inspired shimmering wedge, then this is the shoe for you. 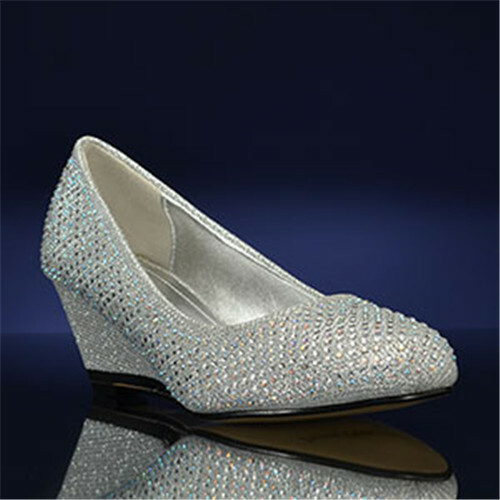 This easy slip-on wedge is covered in sparkling rhinestone, and its silver, shiny fabric lends extra sparkle and glam! What color shoes to wear with purple dress? There are a few great choices that will take your purple dress from plain to fabulous. Learn about the options!